Need some great, affordable gifts for delivery by Wednesday? Don't feel like venturing to the mall? (Don't do it!) All of the following recommendations cost less than $20 and will arrive in time for the big day. THE GIVEAWAY WINNER IS PAULA, Random.org's #11! GIVEAWAY: $10 in Build-A-Bear Bucks! Available for shipping before Christmas! 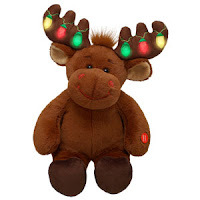 I love these cuddly Christmas friends and their light up antlers! They are soft and adorable just bare, as pictured, or you can add Christmas outfits and Build-A-Bear accessories. But the perfect accessory for these snuggly seasonal pals, I think, is the sweet storybook of how they saved Santa's flight. Leave a comment on this post and you'll be entered to win a $10 gift certificate at Build-A-Bear online or in-store. Creating a personalized toy at a nearby location is a great way to spend an afternoon with your child, or what an easy way to knock out a present for the next birthday! I'll announce the randomly drawn winner on Christmas Day. I try not to let my kids watch too much TV or videos, truly I do. But for the winter cold and flu season, one of the greatest aces for a mom to have in her back pocket is a G-rated, totally sweet and commercial-free BRAND NEW MOVIE to throw on for the kids. 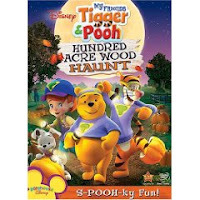 My kids love anything Pooh and anything slightly spooky. They adore this show and the "sleuthing" kid participation. This video is cute, commercial-less and will keep any kid aged 2-7 totally engrossed so you can survive a winter virus or three-day snow storm. You don't have to be white or trashy to laugh out loud while reading this humorous book on not playing silly mom games. 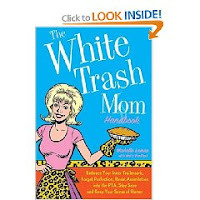 "White trash" is just shorthand for not caring about pleasing others and instead, pleasing our kids. It's about giving up the silly artifice of being a perfect mother or member of "The Muffia" - the grown-up mean girls mom cliques. It's about keeping your sense of humor and being real. It's about buying your brownies from the bakery section and then cutting them irregularly with a dull knife so they look homemade. It's about beating your kids' butts at poker on a scuffed kitchen table instead of stressing out with the pastry dough and Pledge. In short, it's a hoot! Send to that sister in law you wish you were getting sloshed with this Christmas. I love memoirs, chick-lit and social commentary, and this book has all three. 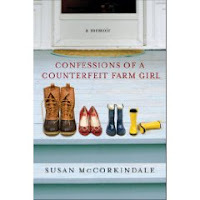 This enjoyable memoir is about a big time Manhattan magazine marketing director who decided to pack it all up and move to rural Virginia with her husband and sons to manage a cattle farm. Witty and full of satire, the author's voice is exuberant and the pace of her story is great. I giggled and thoroughly enjoyed Susan's transition from getting fitted for St. John's suits to seeing John Deere on her husband's Christmas list, to working out in fancy NYC gyms to burning calories by getting chased by 1500 lb beef cows. Amongst the pithy one-liners, I found Susan's commentary on economic status and class and what those perceptions mean to a family very intriguing, especially in these economic times. Great for all girlfriends, whether they have a personal shopper chick to find them fresh fashions or a personal chicken coop for fresh morning eggs. The perfect dad, he dutifully takes pictures of every little twirl, tumble, tutti-frutti ice cream cone. But don't let him get your nice digital camera all scratched and dusty! These slick, masculine cases can slide onto a belt loop for a quick camera draw at those perfect parenting memories that beg to be captured. Whether he had a U2, Metallica, Lou Reed or Aimee Mann obsession when you first met, he will love the music of Mark Oliver Everett and friends. Soulful ballads, incredible instrumentals, gut-wrenching guitar and keyboards, edgy rock - they've got it all. 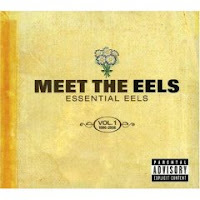 This album has all of the best diverse tunes of E's catalog. Every male listener finds something he digs. Trust me. So, your office mate or next door neighbor showed up with an awesome honking gift for you and you lamely replied, "Oh, I forgot to bring yours!" Sucker! Well, send him some suckers by See's, a custom-mixed box of chocolates or a box of decadent truffles. 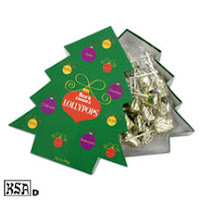 Since See's makes the world's best candies but the prices are totally affordable, you'll be in the clear without having to bake or buy some stinky Yankee Candle or wilty poinsettia. If you're the boss and there was no budget for bonuses, ya, you should feel bad. But give 'em some chocolate. See's makes cool business gifts. And if you're the boss of the PTA or home/school association, check out See's for your school fundraiser too.